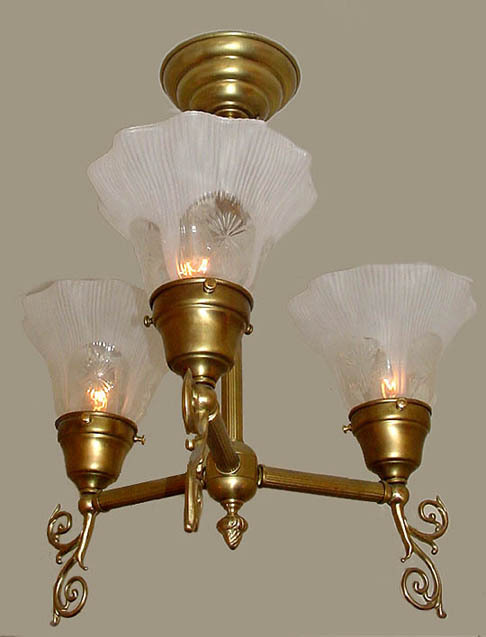 A vintage antique three light olde electric reproduction. No easy road was taken on making this one period accurate. Complete with reeded tubing, but you can design it with smooth tubing if that's your preference! Width 17 In. / Height 18 In. or Custom.